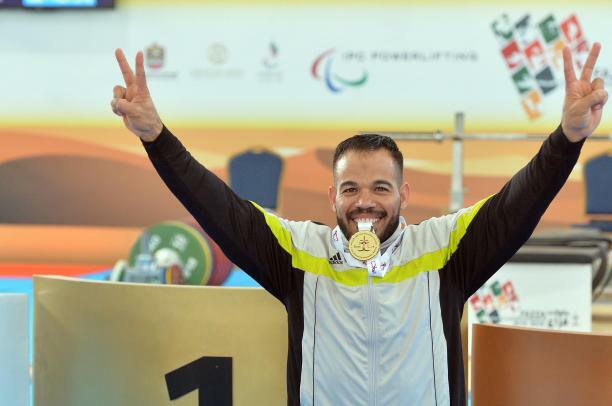 Egyptian Paralympic Weightlifting Champion, Fatima Karani, won a gold medal at Fazza International Championship for the Disabled in the United Arab Emirates. The athlete achieved a new world record of 113 kg in the 61 kg category. Egyptian Paralympic weightlifting champion, Sherif Othman, also won the men’s gold medal in the 95-kg category. The brain child of Sheikh Hamdan bin Mohammed bin Rashid Al Maktoum, Crown Prince of Dubai and the Patron of Fazza Heritage Championships, the Fazza Championship for the Disabled is a specialized tournament aimed at the social and cultural integration of people with disabilities. The tournament includes various competitions in a variety of sports such as Badminton, Table Tennis (Ping Pong), Basketball, Archery, and Bowling among others.